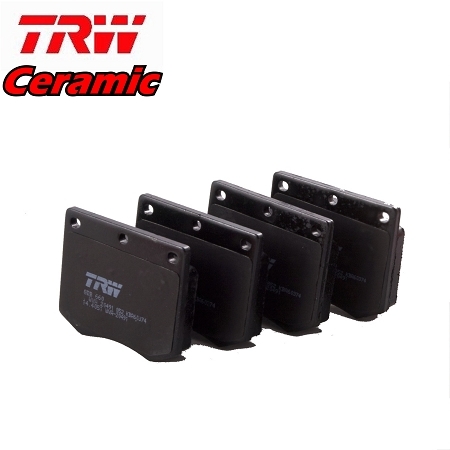 This is a OE TRW Brake Pad Set for the 16PB caliper (3/16 holes in brake pad) for Triumph TR6 from CC81079 (about 8 of 1972 On), GT6 Mk3, from KE12389/KF12390 (about 8/72 on). These are the best pads that are available for your car. Each pad has an anti-squeal shim glued to the back of the pad for silent braking. As for composition each pad is made from Ceramic material for an almost dustless braking and helps with high temperature brake fade. No more black rims to clean on your car and you’ll have confidence in braking.